The company maribé – sors de ce corps will perform excertps of its new piece BESIDE, created in collaboration with Montréal Danse. 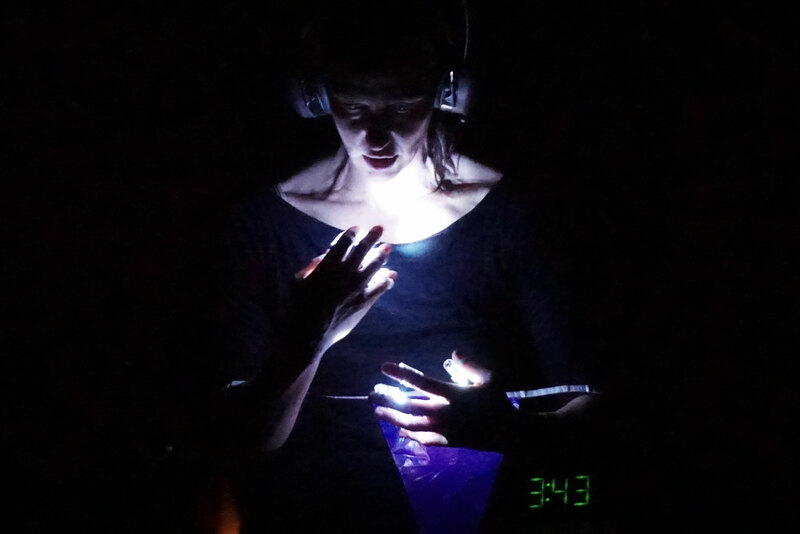 In BESIDE, Marie Béland uses real-time radio as a score imposed on the performers. Among news reports, pop music, interviews, car advertising, how can this heterogeneous web constitute the framework of the choreography ? Becoming vectors of fragments from outside the theater (beside), how can bodies make this invisible visible ?